Courtesy of Miller/Steil Properties, Joseph Miller. Currently a vacant lot, the list price is for proposed home, exterior landscaping including pool, built in BBQ and fire pit. This proposed home has already been to the preliminary ADRB (Architectural Design Review Board) meeting and it was very well received. It will be going for final ADRB approval in early May. The home consists of 5bd 5.5ba 5500 sq ft living space– not including the 3 car garage (700 sq ft). Construction to start Summer of 2019 and be complete in late 2020. This modern farmhouse is situated on .57 of an acre located in an idyllic cul-de-sac in lower North Hillsborough. A well thought out floor plan which features an open concept living space that flows seamlessly to the expansive yard that measures well over 100ft. 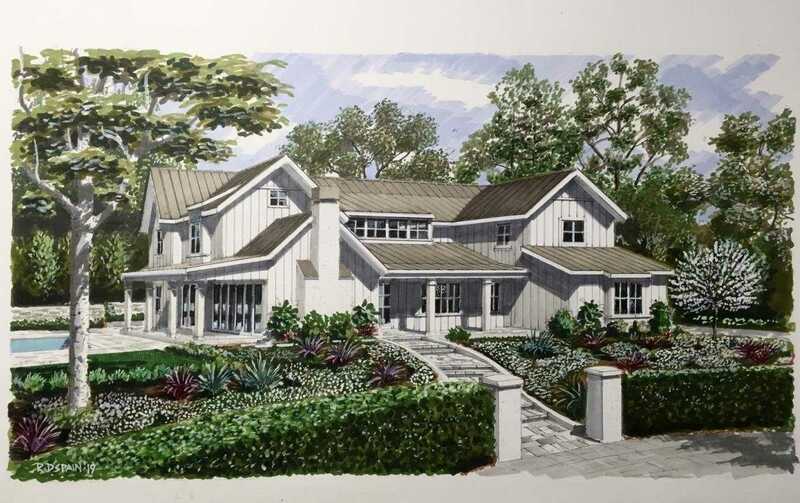 As can be seen on the attached floor plan, site plan, and photos; this home provides privacy, a large outdoor entertaining space, and a functional floor plan with an elegant exterior style.